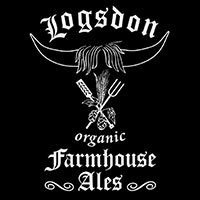 Logsdon Farmhouse Ales was started by Full Sail founding brewer and yeast master Dave Logsdon who has a special affinity for traditional Belgian-style farmhouse ales. When he launched the Hood River, Oregon brewery, he planted an orchard on the property with Belgium-imported Schaerbeekse trees. These trees grow the sour cherries necessary to craft authentic kriek beers. Dave Logsdon has since retired from full-time day-to-day operations, with John Plutshack and his wife Jodie Ayura managing brewery operations with Head Brewer Shilpi Halemane and Assistant Brewer Mark Pearson running the beer side. Today, Peaks and Pints presents a flight of Logsdon’s beer that we call Craft Beer Crosscut 3.22.19: A Flight of Logsdon. The result of Logsdon brewers’ pursuit of blending unique offerings from their oak library, Cave Digger is a funky blend of light and dark farmhouse ales, aged in Hungarian and French oak. Aromas of citrus and stone fruit compliment the balanced acidity, malt complexity, and re-fermentation with pear juice and Brettanomyces yeast. This Logsdon red ale is brewed in the “Vlaming” or West Flanders style. A combination of pale, crystal, and dark roasted barley malt, wheat, and oats are brewed with local whole-cone hops, with a select variety of yeast and lactic bacteria. 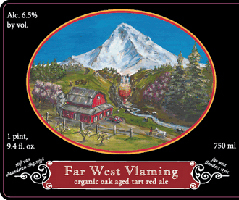 The Hood River, Oregon brewery ages it in oak barrels for a period of time to develop complex richness, soft tannins and fruity, tart character. The aged beer is then blended with young beer to create the desired balance of malt sweetness with a dry finish. It’s relatively clean for the style with added wood notes and hints of soft, ripe fruits. Logsdon’s The Continental is a new cognac barrel-aged spontaneous beer from the brewery’s coolship program. It’s a blended spontaneously fermented sour ale aged two years in cognac barrels for a delightfully even-tempered, low acid, citrus-floral, sweet-tart, wood resonance flavor. It finishes sour and funky, but everything is nicely balanced. 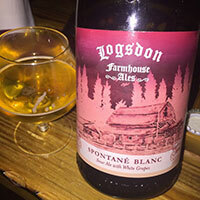 Logsdon Spontane Blanc is a spontaneous fermented American wild ale brewed with Sauvignon Blanc grapes. On the nose, we get a sharpness from the fruit that increases our perception of the sourness beyond that level, mouthwatering and intense, still funky, still obviously made with aged hops, but with a bit of a different fermentation complexion. It’s not overly fruity — fermented down to dry and with full respect given to the base beer. It has a pronounced mineral profile with the oak. Some classic lambic funk arrives as it warms up, with a white cranberry tang. The beers made in and around Bamberg, Germany, are especially individualistic. The best-known style of the area is rauchbier, made with smoked malt, but there are also zwickelbier and kellerbier. “Zwickel” implies simply that the beer is taken from a small tap on the maturation tank; this version tends to be especially hazy. A kellerbier is an unfiltered cellar beer historically served right out of the cask in which it was fermented. 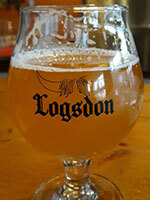 Logsdon brewed the kellerbier, Hell & Oats, an unfiltered lager that is light hazy straw in color, with crisp and bready flavors of pilsner malt, hulled oats, whole leaf Perle hops, and Bavarian lager yeast. It’s freakin’ delicious.